• numerous vegetarian and vegan combinations suited to the tastes and principles of all guests and inspired by traditional Marche cuisine, such as the cicerchia bean soup, spelt soup and pastas, broad beans and other legumes, baked aubergines with cheese and tomato, red potatoes, and oven-baked or gratiné stuffed tomatoes, aubergines and peppers. • our sweets and desserts are home-made, while we procure bread from bakers using local flour. Our restaurant, with its welcoming, family atmosphere has 28 places at tables arranged to ensure comfort, well-being and a cordial relationship with guests. We usually prepare separate tables for children and offer them special kids menus. We love cooking and to cook well we use excellent products, such as the vegetables, poultry, eggs and honey that we produce on the farm, or the oil, wine, red meat, hams, salamis and cheeses provided by small local and regional farmers. We are constantly on the lookout for excellent regional products for our guests: oil, wine, and typical local gastronomic specialities (i.e. those labelled Qualità Marche, DOC, IGP and DOCG). 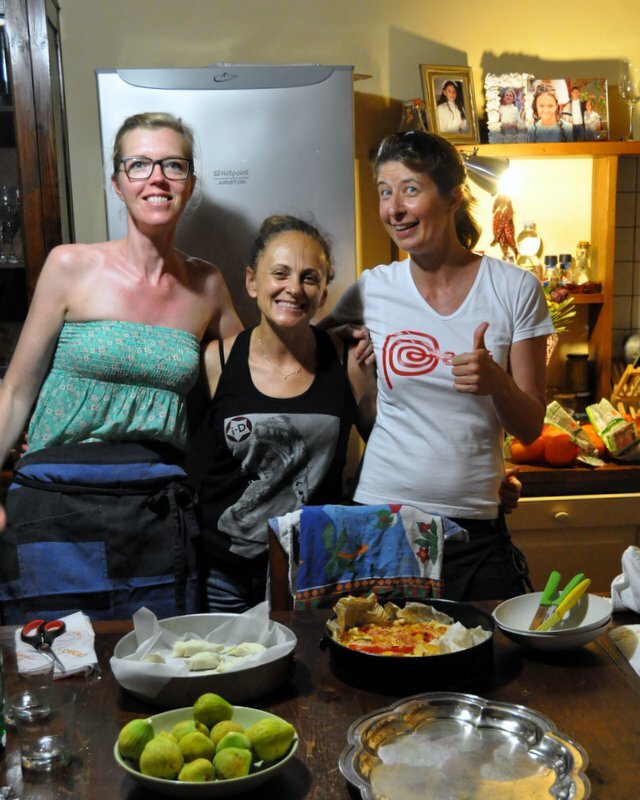 In this way we provide the opportunity to enjoy the thrill of exploring traditional cooking and the best quality products in the local area, with all its traditions and culture, at a reasonable price. At the same time we pursue a policy of fair-trade consumption respecting the environment and based on the seasonal nature of products, a short supply chain and organic and biodynamic methods of production. • typical salamis and hams, such as the salame di Fabriano, the ciauscolo (a sausage spread), the guanciale di Mariano (pig’s cheek lard), pork roasted in a wood-fired oven, prosciutto seasoned at least two years, sausages (fresh, dried or in oil), lonza (seasoned loin of pork), pork salami filets, etc., accompanied by various kinds of bread, oil and wine. • courses are tailor-made for small groups and are a marvellous way of making the most of our organic food or produce from other local farms. 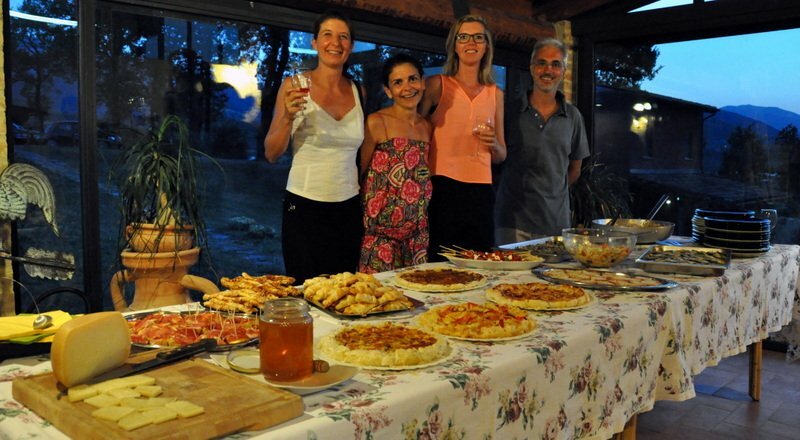 Together we prepare and cook various dishes, which are then available for guests to savour.